$260 for 5 Hours or $310 for 8 Hours. 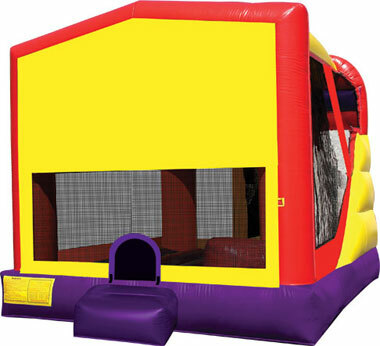 (Plus Tax)All the inflatable features guaranteed to entertain for hours in one package! 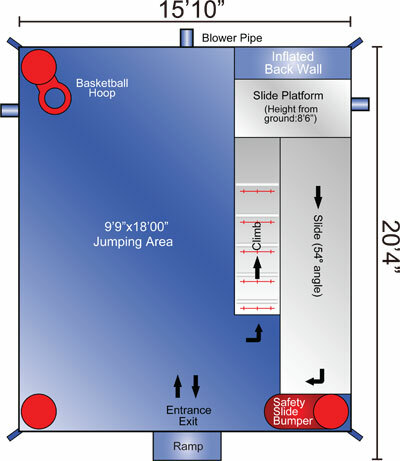 The 4 in 1 features a 180 square foot bouncing area, a basketball hoop, a climber and a 9’ slide. Add a themed banner of your choosing for an extra kick!